I'm just trying to figure out why Common is being targeted now. Why didn't they attack him when he host the White House's Christmas Tree lighting ceremony or how about all the other numerous times he's been out or around the President? Are they hoping that Barack Obama will have a 'Sister Souljah Moment' like old man Clinton did when he threw Sister Souljah under the bus when he was running for President? I'm not old enough to remember the particulars of what happen when Bill Clinton decided to repudiate Sister Souljah in an attempt to make Middle America realize that he wasn't completely down with black folks, but I do know it left a bad taste in a whole lot of people's mouth. This is definitely something I will be watching closely. The controversy stems from a 2007 poem by Common that suggested the burning of former President Bush. Fox News is questioning rapper Common’s invitation to a White House event this week celebrating American poetry – all because the wordplay in one of his poems included the phrase, "Burn a bush," which they contend suggested the actual burning of former President George W. Bush. President Obama and his wife Michelle will host the gathering of poets, musicians and artists at the White House on Wednesday night. Joining Common on the performance bill are Elizabeth Alexander, Billy Collins, Rita Dove, Kenneth Goldsmith, Alison Knowles, Aimee Mann and Jill Scott. 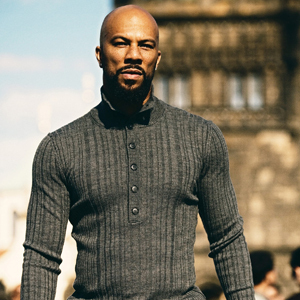 Common, born Lonnie Rashid Lynn Jr., is also expected to take part in rap workshops with schoolchildren in the afternoon before performing in the evening. The White House said the readings and performances will highlight poetry’s influence on American culture. The line in question, “Burn a Bush, cuz for peace he no push no button,” comes at about 1:59 in the video below. Sarah Palin was so successful as a governor (The Bitter Quitter), she graduated early, she real is a “Dan Quayle” in heels. She clearly loves “dishing it out” but real can’t take it because she loves playing the victim card. Poor thing she fail as a VP candidate (her lie that her daughter was engaged was such a farce), her stand-up comic fiasco on the Jay Leno Show, please, her TV show canceled after declining rating, I guess running for Prez is the only thing she can look forward to, but since she is a coward she will only throw small minded rocks, poor thing.